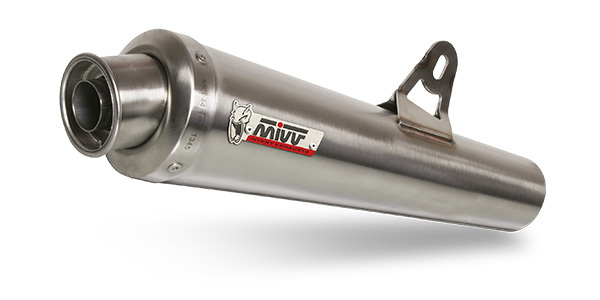 Mivv X-Cone is a stainless steel exhaust offered in two versions: X-Cone and X-Cone Plus. 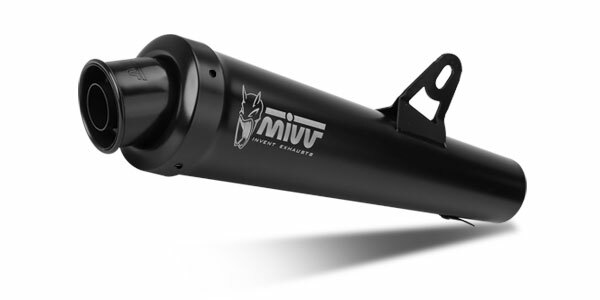 X-Cone was mainly designed for naked motorbikes, or for motorbikes with a vintage look. Its own vintage appearance is supported by a construction where no detail is overlooked. With a conical shape, it’s made of brushed AISI 304 stainless steel. X-Cone Plus is different from the standard X-Cone due to the absence of the end spout. 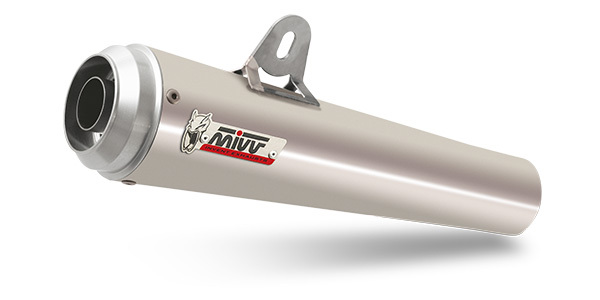 Other differences are the aluminium end cap, the circlip secured dB-killer and the satin, rather than brushed, finish of the silencer body. It is made of black painted AISI 304 stainless steel.